Devdas Menon received his B.Tech. and PhD degrees from the Indian Institute of Technology Madras. 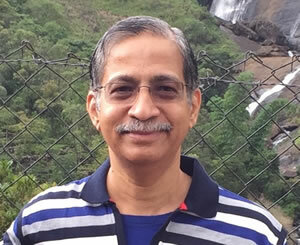 He is presently Institute Chair Professor in the Department of Civil Engineering at IIT Madras, engaged in teaching, research and consultancy in structural engineering (with a focus on the design of concrete structures). His technical publications include books titled "Reinforced Concrete Design", "Structural Analysis", "Advanced Structural Analysis" and "Handbook on Seismic Retrofit of Buildings". He is presently Chairman of the Bureau of Indian Standards CED 38 Committee on "Special Structures". He has given several talks and seminars on finding meaning and fulfilment in life through awareness and transcendence of one's ego-self. His writings on this theme include books titled 'Stop sleepwalking through life!' and 'Spirituality at work'. 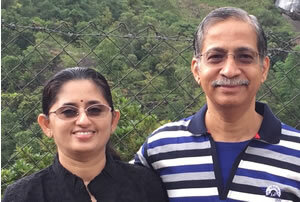 He is married to Roshni, who teaches History at 'Sishya', Chennai. Is presently a Professor in the Department of Civil Engineering at IIT Madras, engaged in teaching, research and consultancy in structural engineering.